NoFrag: Could you please introduce the team? how many people are currently in the dev team of Insurgency: Sandstorm? NWI:Of course, New World Interactive currently has a total team of 36. This includes both full-time employees and remote freelancers. The vast majority of our team are development focused however there are also a few non-development roles such as community managers, finance, and admin. For a premium FPS developer, we are quite small, but we like to think we punch above our weight. NoFrag: 500,000 players! Congratulations! Was that your goal or is it beyond your expectations? Out of curiosity, were sales higher during the beta phase or at the release? NWI: Going into a launch it is always incredibly hard to predict how well a game will sell as there are so many unknowns. Our projections have changed several times throughout Sandstorm’s development, however, 500,000 copies on PC shortly after launch is a great number to achieve. We had a very strong pre-order period during our beta which continued into the full release in December, we’d like to thank our loyal fans for showing their support it means a lot to us. While 500,000 copies is a lot, we consider launch to be just the beginning for Insurgency: Sandstorm. We plan to continue growing our player base in 2019 and beyond, with regular free updates as well as expansion on to PlayStation, Xbox, Mac and Linux. NoFrag: The game, initially scheduled for September, has been postponed to December. What was the main motivation behind this decision? Did Focus Home Interactive (your publisher) support you at 100%? NWI: The scope and timeline for Insurgency: Sandstorm changed several times throughout its development. Our team have big ambitions for the game. However, as mentioned above we are a relatively small team with members all over the world, most of whom were working on Unreal Engine 4 for the first time. When we were approaching the September milestone it was clear that the game was not at the level of quality we at New World strive for. The choice to delay the launch was one of the hardest decisions we as a team have had to make. Not only is there the impact on the community who are eager to play the game, but there are also financial considerations for us as a team. Delaying the release even by a few months means delaying our revenue source, yet we still need to pay the wages that support the livelihoods of our staff and their families. As a small company that self-funds almost all of our development costs the decision was not taken lightly. However, our team felt that spending the extra months to work on the game before release was in the best interest of the game, our community, and our company. Focus Home was very supportive of us and our decision during this time and we are grateful to have a publisher that believes in the long term success of the product as much as we do. NoFrag: Last question before we talk about the game. I promise. You recently opened a new studio in Canada, does that mean that more FPSs are in the works? NWI: For a long time one of the major issues we have faced as a studio is that we are a relatively small team with a lot of remote contractors. After the successful launch of Sandstorm one of our core goals for this year is to bring more of our team onsite so that we can better collaborate, as well as expand our team’s capabilities and skill sets to enable us to create better products. Our new office in Calgary will help us achieve this as we work on post-release support and consoles for Sandstorm as well as future projects. 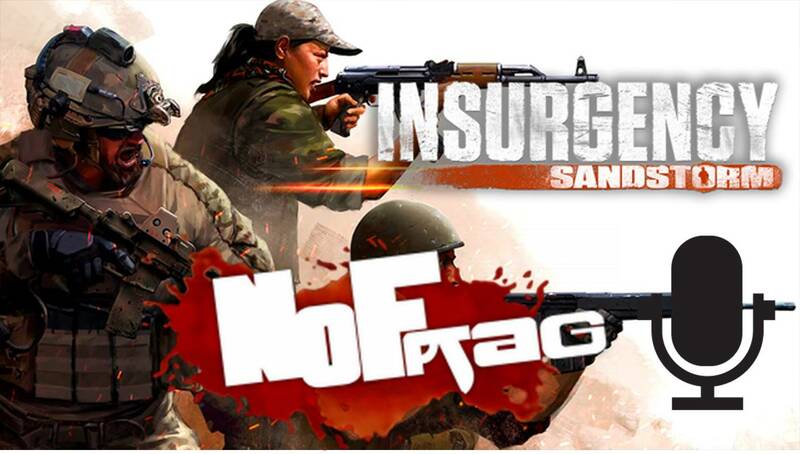 NoFrag: The first major update has now been available for a few days. New weapons, new game mode, shooting range. Are there any things you didn’t have time to add due to lack of time? 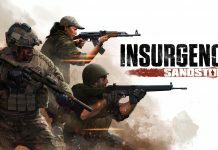 NWI: We have a huge amount of content planned for Insurgency: Sandstorm over the coming years including new maps, weapons, gamemodes and more. There are always things our team would like to add, however, it is important we keep to our production schedule. We did have a co-op arcade mode which we planned to launch alongside the PVP TDM, however it wasn’t quite ready and we felt we could do a lot more with the new mode if we gave it a bit more time, we think people will really love it though be sure to look out for it though in one of our future updates. NoFrag: How often do you expect to get new updates? Do you already have a calendar? If so, exclusively for NoFrag.com, your favorite site, when is the next one planned? NWI: We plan to update the game as frequently as we can. Major content updates are likely to be every 2-3 months, however, there will also be patches and hotfixes as our team resolve issues. As a rule though, we don’t commit to specific dates for any of our updates as timelines constantly shift and flexibility to adapt is very important. We want to release content when it is ready and fully tested rather than rushing to meet deadlines. NoFrag: The first update does not bring new maps. We imagine that this will be the case for the next one… and will they already be at night? Ministry of Sinjar is coming soon? NWI: We currently have several maps in various stages of production. The next map we plan to release will be very different from the current maps in the game, taking place in an abandoned construction site. Remakes of classic Insurgency maps such as Sinjar and Ministry are also in development and will come in future updates. Night maps are also planned as part of our post-release content plan but due to the additional work required with new assets such as NVGs, flashlights, changes to AI behaviour, lighting, and other factors these will be coming later in Sandstorm’s development. NoFrag: Let’s be simple: customs matches and modding support, rather soon, rather mid-2019 or rather late-2019? NWI: Mod support is something very close to our team’s heart and we are absolutely committed to adding it to Insurgency: Sandstorm. The process for Unreal Engine 4 is a lot more complex than with Source, and given our plans for additional platforms in the future we want a solution that allows us a lot of flexibility. Our team have started some initial research on what solutions would work best, and mod support will be a high priority for our programming team once we resolve some of the current issues surrounding performance and critical bugs. Unfortunately at this stage I can’t put a definitive timeline on this, but trust me that it is a high priority for us. We started as modders and feel it is important to empower players to create their own unique experiences off of our platform. NoFrag: When we talk about competitive FPS, the issue of cheating comes up on the table. Do you have other solutions in the pipes to fight cheaters? Do you have any data about the number of ban since the game was released? NWI: We are currently working with Epic’s Easy Anti-Cheat, one of the industry’s leading non-proprietary cheat prevention systems. Unfortunately in all competitive online shooters there will always be some players who resort to cheats to win. As soon as we find cheats available for Insurgency: Sandstrom our team reacts quickly to ban players and where possible update the game to prevent the cheats on sale from working. To date over 350 accounts have been banned via EAC. New World take reports of cheating very seriously, and we encourage our community to be vigilant and report any suspicious player behaviour by following our Community Guidelines – Cheating, Exploits and Harassment. NoFrag: Optimization and performance have been your focus for several months. From your point of view, is the game in a satisfactory state? NWI: Performance and optimisation are an ongoing process for us, and are by no means done. As our team gets more familiar with the engine and has more time to focus on these areas we hope to improve performance across the board allowing us to target a lower minimum spec, increasing performance for higher-end PC’s, as well as ensuring the game runs well on consoles. Our team has dedicated the whole month of March to addressing bugs and performance issues with 3 patches so far and more to come, however it will continue to be a priority for us. NoFrag: The sound in Insurgency is beautiful and incredible. It’s time to explain your secret and mention the talents behind the sound design. NWI: Why thank you! The credit should go to our incredibly talented sound designer Mark Winter who created all of the in-game audio, our lead game designer Michael Tsarouhas who wrote and directed all the voice over, and our excellent cast of voice actors. Altogether Insurgency: Sandstorm has over 8000 lines of unique dialogue, which is more than some narrative single player games have and hugely contributes to the sense of immersion and atmosphere. The details of how Mark works his audio magic are a closely guarded secret, however, this quote below from a recent Unreal Engine interview explains the broad concepts. “Utilizing Audiokinetic’s Wwise middleware, we were able to push the boundaries of what we have achieved previously in Insurgency. We have a much more responsive and dynamic playback system this time around. 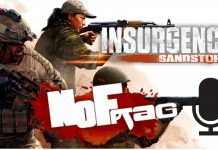 NoFrag: We know that you have put the Insurgency Sandstorm solo campaign on hold, is that something you have totally abandoned? NWI: For now it is simply an idea that we may revisit in the future. There are no firm plans to work on it, nor has it been fully dropped. As a small studio we need to be realistic about our capabilities and which of the many ideas for Insurgency: Sandstrom we want to allocate our limited time and resources towards. NoFrag: Do you already have other game modes in mind for the arcade mode? A small example…. ? 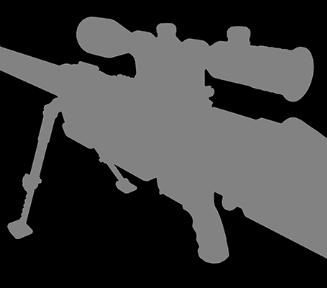 NWI: We have several arcade mode designs we are thinking of and have received many great ideas from the community. Unfortunately, I can’t say what is next just yet, so be sure to follow our blog and social media @InsurgencyGame. As we said in our latest video, you might be surprised to see what we’re cooking up. NoFrag: The game includes skins, tattoos. In the long term, do you think of a system for monetizing cosmetics? NWI:We have always remained open to the idea of allowing fans to support us by buying in-game “appearance credits” if there is demand for it. However, currently, we see purchasing the game as our primary revenue source. If we do add any form of microtransactions they would be totally voluntary. All items available to be unlocked are cosmetic only and would always be obtainable by ranking up during normal gameplay. As a company we do not wish to lock any game content away behind paywalls. NoFrag: Give us an exclusivity. Anything you want. A weapon. A map. A game mode. NoFrag: Any news about the release of the console game? What is your opinion about playing an FPS with a controller? NWI: Unfortunately there is nothing new to share here. The released PC version is our main focus right now. We will share a more specific release window and details about any betas later in the year once we get deeper into console development. We have already seen a lot of players using a controller on the PC version of Insurgency: Sandstorm even as far back as our E3 demo last year, and are really excited to be bringing our game to consoles for the first time. NoFrag: A question about the battle between Steam and the Epic Games Store. As an independent developer, what is your opinion? NWI: We have very close relationships with both Valve and Epic. It is exciting to see more competition in the digital PC distribution market, allowing consumers greater choice over where and how they buy their games. We look forward to seeing how the market evolves over the coming years. NoFrag: Thank you very much for agreeing to talk to me. I’ll leave you the last word! NWI: Thanks for taking the time to ask some really in-depth questions! Game development is a complicated process and so it can be hard to give clear answers at times. All of the above are our current positions at the time of writing, but don’t be surprised if things change – the games industry is very fast moving with lots of exciting opportunities on the horizon! We are proud to celebrate 500,000 players on PC and have a long and bright future ahead of us for Insurgency: Sandstorm. This is just the beginning and we encourage everyone to follow @InsurgencyGame on Facebook, Twitter, YouTube and Instagram to stay up to date with our development and some sneak previews of things to come.